You probably have some of these on your blog, too: The blog posts that you created with care and love but which somehow never found a lot of love with your audience. Or blog posts that did get a little attention from your audience but could simply do with a little more affection. 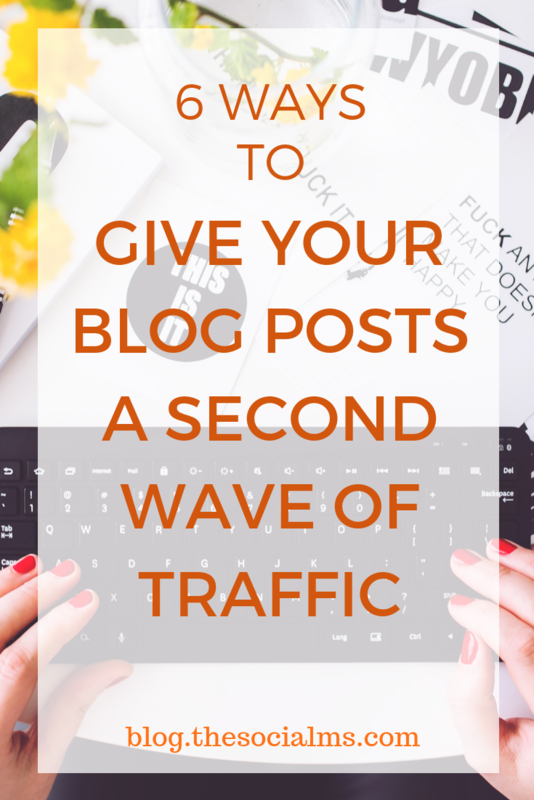 Today’s post is about giving these blog posts a new wave of blog traffic. Not every blog post deserves a second chance. And some posts are not relevant anymore. Do not try to get attention to an old and boring story that was yesterday’s news. But evergreen content that still includes a ton of valuable information is well worth the effort to try and make it take off the second time. Are you aware of the power of headlines? 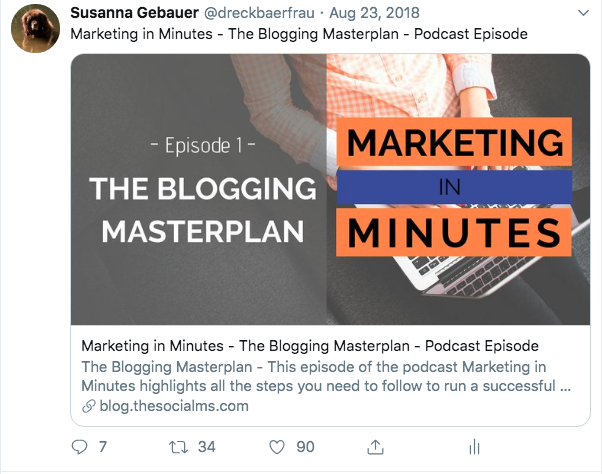 If your blog post did not get the attention it deserves and your blog post promotion did not give you the results you expected for one blog post: Check the headline. Think about if the headline would inspire you to click through to the article? From 8 out of 10 people who see your headline only 2 will read the post. But most bloggers – especially new bloggers – spend far more attention on the body of the post than the headline. And that can result in utter failure of the post. If you want a second chance for your blog post, try another headline. Maybe a list headline is a fit? Or a how-to headline? Does your headline inspire curiosity? 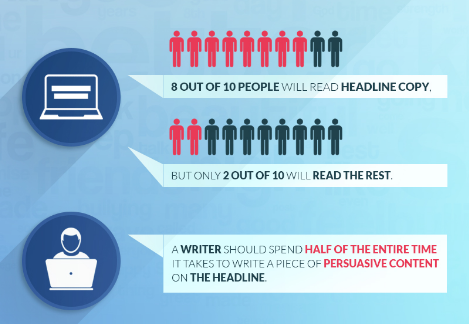 Learn more about creating perfect headlines to earn more clicks and shares in this post. Do you have an audience on Twitter? Do you tweet your blog posts? How often do you tweet them? Did you make perfect tweets? You can absolutely use Twitter to give your blog post a new life and traffic. If you created a new headline, you should also create a new tweet using this new headline – maybe not even just one headline and tweet, try two or three. Use an image – or Twitter card. Use a fitting hashtag (or two). Don’t just tweet your blog post once. If your post is evergreen, so are your tweets. You can reuse the same tweet every couple of days. Keep tweeting your content. If you have more than one tweet for your post, you can use all of them again, and again. If you are using Pinterest for blog post promotion, but your post did not heat up the first time around, simply create a new pin and share it to Pinterest again. Pinterest favors fresh content. It is much easier to make a new pin spread than trying to heat up and old pin that has been sleeping for some time now. You can find more information on pin design in this article. Sometimes older posts rank just close to the spots that would give you traffic but not quite good enough for you to see much traffic coming from Google search. Or the post does rank well for some keywords, but people do not click through to your content. There are a couple of very easy-to-do tweaks to your SEO that could make all the difference. Rank your content a tiny bit better in the search results or make more people click through to your content. Link to the post from other posts on your blog. That can easily be done. And it will help to show Google that you think this post is important. Internal linking is often neglected but is a very important factor for search ranking that you can influence. Update the post with more related keywords and an additional paragraph of new information. Google prefers fresh content. Updating old posts can put them far up the list of search results. This strategy takes a little more effort than the other tips. You need a group that fits the topic. You need an active group – not just a promotional shouting place. You should not simply post your blog and leave. Start a discussion, ask some questions, answer comments. Your blog post can be part of the discussion – you can cite something from it or you can recommend it for further reading. The more you are part of the discussion, the better this will work. Make sure that you know the rules of the group before you act. Some groups have rules that forbid you to share links to post – simply to avoid being spammed with unrelated content from people who otherwise are never active in the group. Answering questions on Quora can give a consistent stream of traffic. Make sure you answer a closely related question. You can copy part of your post into the answer and link to the post for further reading. What you are after are upvotes on your answer to very active questions. It will not help to answer questions that are irrelevant or outdated. 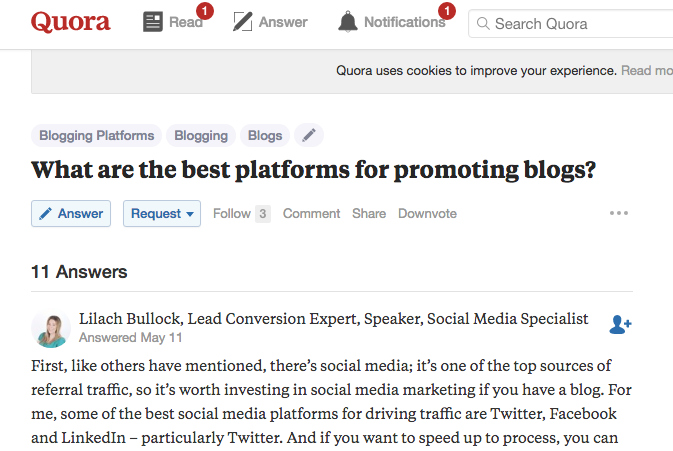 But some questions on Quora are active for years – and all the time the best answers that are upvoted to the top of the list of answers have tremendous traffic power. Never underestimate the traffic power of old content. That is why you need evergreen content on your blog. It will make your traffic generation so much easier and help you to earn consistent traffic to your blog. That your posts did not take off the first time you created them does not mean that they do not deserve more traffic or that they are not good enough. Some simple tweaks and new social media posts can easily boost the traffic to these posts. Often the second attempt will give the post much more traffic than the first. After all, you learned more about blogging along the way, did you not? Do not blindly spend all your time on creating content. Promoting your content is at least as important as content creation. And creating a second wave of traffic for your existing posts is a very valuable traffic strategy!